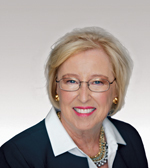 Dr. Roberta Atha Strosnider, Professor Emerita in Special Education, Towson University, Towson, MD currently works as an educational consultant in the areas of learning disabilities, executive functioning, and teacher preparation. Roberta graduated from Fairmont State University (FSU) with a major in Secondary Education and in 2017 she was a recipient of an Alumna of Achievement Award from that institution. She earned her master’s degree in Special Education from West Virginia University and her doctorate in Special Education from Virginia Polytechnic Institute and State University. She taught both general and special education classes in P-12 schools. She also taught at several institutions of higher education and holds faculty emerita status from Hood College, Fredrick, MD and Towson University, Towson, MD. Roberta received a fellowship to study HIV Prevention Education for Students with Disabilities and served as a national trainer for the Co-Teaching HIV Prevention Program. While at Towson University, she directed an off-campus teacher preparation program and received the Nasim Dil Award for her service to Small Special Education Programs. She has further served her profession as a reviewer and auditor of special education teacher education program reports for the Council for Exceptional Children (CEC). In addition, she has made contributions to the field through publications, presentations, and grants. She also served as a consultant to the Maryland State Department of Education preparing materials and online resources to provide professional development. During her career, Roberta has been and continues to be active in advocacy efforts for students with disabilities having served as a board member and advocate for several organizations. Her work with the Frederick County, MD Arc Board was recognized with the STAR Award from the Arc. The Council for Learning Disabilities (CLD) awarded her the Floyd G. Hudson Award for her contributions to the field of learning disabilities. She serves as a representative for CLD to other public policy groups such as the National Joint Committee on Learning Disabilities. Roberta and a colleague co-founded Project Boost. They wrote and taught a curriculum that provides executive function skill training for students K-12 by building skills through a 7-Step Model. Teachers and administrators throughout the mainland and Hawaii have been trained to use the program, and the pair is writing a book on the model and accompanying strategies. They currently teach online courses on executive functioning and classroom management at Frostburg State University, Frostburg, MD.